This wood slice wall clock is a eco friendly solution for your timing needs. Each reclaimed wood piece is hand-sawed and placed with purpose. 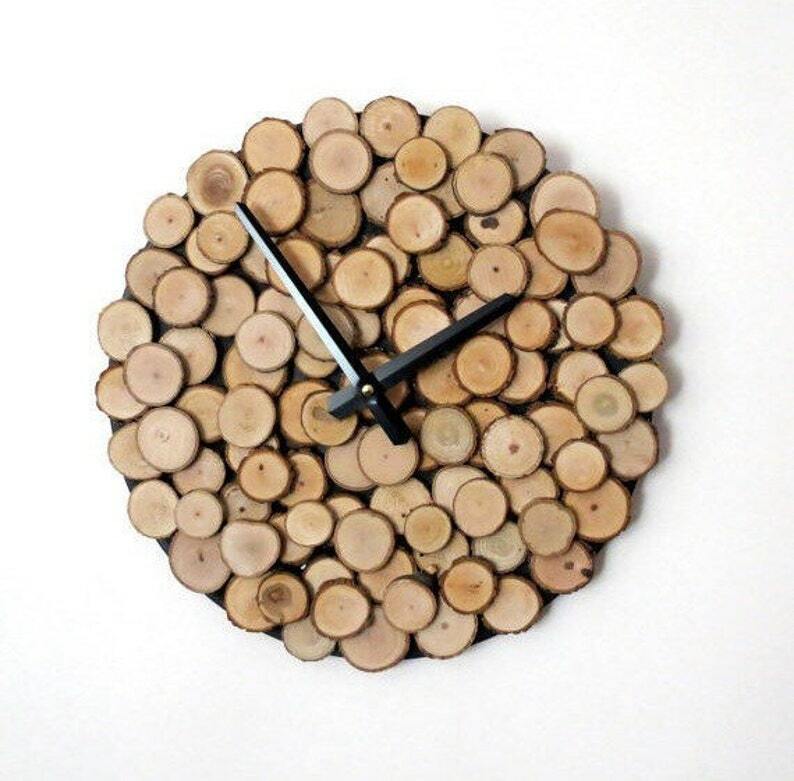 The end result is a organic and earthy piece of functional wall art. With a sturdy record as the base, this wall clock makes a fantastic zero waste product for your home, office, or gifting occasions. Clock size is 12" in diameter. See everything Shannybeebo Clocks has to offer here..